Phoenix PharmaLabs is very pleased to announce that our chief neuropharmacologist and co-founder, Dr. Lawrence Toll, will present a poster entitled: “In Vitro and In Vivo Profile of PPL-103: A Mixed Opioid Partial Agonist Analgesic or Drug Abuse Medication”, at the upcoming National Center for Advancing Translational Sciences (NCATS)-sponsored symposium The Opioid Crisis and the Future of Addiction and Pain Therapeutics: Opportunities, Tools and Technologies. This symposium, which will take place February 7-8 at the Natcher Auditorium on the NIH Campus in Bethesda, MD., will feature an All-Star line-up of addiction and pain researchers. NCATS, one of 27 Institutes and Centers at the National Institute of Health (NIH), was established to transform the translational process so that new treatments and cures for disease can be delivered to patients faster. This symposium is connected with the HEAL Initiative. 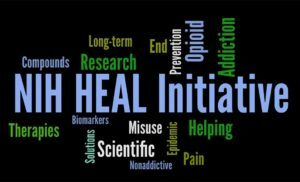 HEAL (Helping to End Addiction Long-Term(sm)) Initiative is a trans-agency effort to speed scientific solutions to stem the national opioid public health crisis. Dr. Toll’s poster will describe the unique profile of PPL-103 as a non-addictive opioid that could be a superior analgesic with greatly reduced addition liability and fewer side-effects compared to traditional opiates, as well as the drug’s potential as a treatment for addiction.